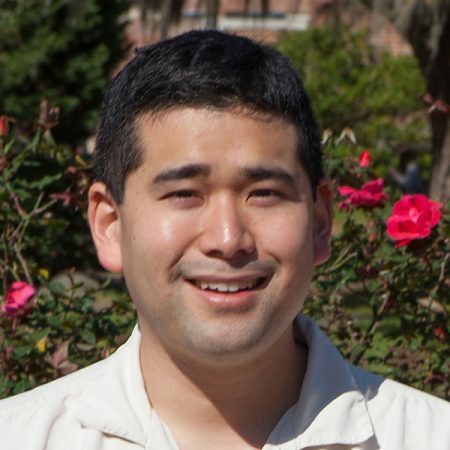 Christopher Uejio, an assistant professor in the FSU Department of Geography. A Florida State University researcher has drawn a link between the impact of climate change and untreated drinking water on the rate of gastrointestinal illness in children. Assistant Professor of Geography Chris Uejio has published a first-of-its-kind study, “Drinking-water treatment, climate change, and childhood gastrointestinal illness projections for northern Wisconsin (USA) communities drinking untreated groundwater,” in the Hydrogeology Journal. The study explores the benefits of additional drinking water treatment compared to the risks created by climate change. Uejio’s study is the first to examine how future rainfall may impact human health. He partnered with the Wisconsin Department of Health Services and the Children’s Hospital of Wisconsin-Milwaukee Campus to examine the rate in which children ages 5 and under are at risk for gastrointestinal illness (GI) 30-plus years into the future between 2046 to 2065 compared to the period between 1991 and 2010. Uejio and the research team considered three different scenarios covering five northern Wisconsin municipalities with minimally treated drinking water. The first scenario tested the amount of risk of childhood GI if climate change proceeds on its current trajectory. Uejio found that without additional drinking water treatment installation, increased rainfall from climate change could amount to an approximate 1.5 percent increase in childhood GI — with a range as high as 3.6 percent. The gastrointestinal illnesses studied included a wide swath of sicknesses ranging from minor stomach pains to more severe symptoms that required up to 69 days of hospital care. Of the cases examined between 1991 and 2010, 7 percent of the children were admitted to a hospital. The second scenario considered climate change plus background levels of treatment, which is what has been done historically, and projecting that to the future. When those numbers were assessed, Uejio found some continued treatment would help alleviate the impacts of climate change moving forward, but there were still elevated rates of illness among the children in communities with untreated drinking water. The final scenario looked at a more aggressive rate of drinking water treatment in larger cities throughout the research area. “We found, intuitively, that the rate of illness correspondingly dropped dramatically,” Uejio said. His results can inform public policy moving forward, he said. Uejio hopes his study will be a springboard for researchers to investigate these impacts in additional regions in the United States. Because the Northeastern and Midwestern portions of the United States are already observing more rainfall and intense rainfall events, those areas are ripe for study, he said. The research was partially supported by the Centers for Disease Control and Prevention as well as the National Science Foundation.